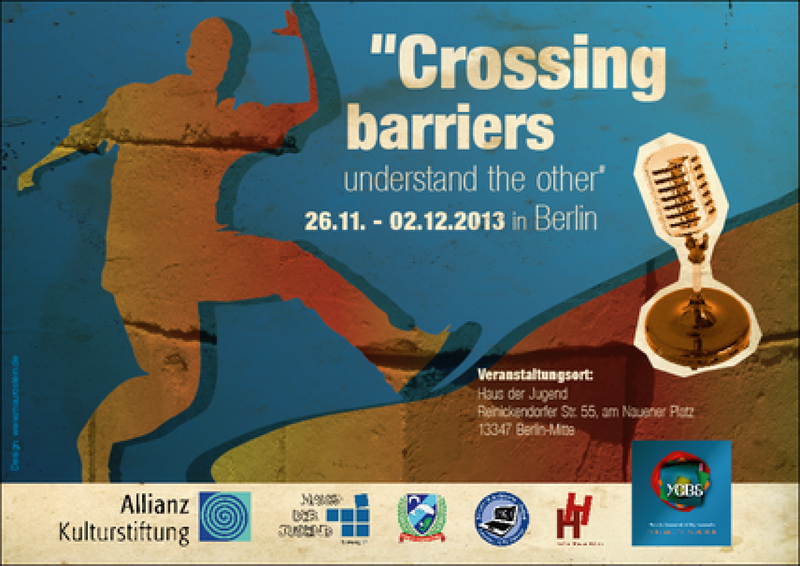 „Crossing barriers-striving for harmony“ is a YCBS project in the frame of which students cross barriers during one week in Berlin using microphone. The youngsters interview people from different cultural and professional backgrounds, living in various districts. The project participants themselves have interesting backgrounds. Petko is a student from Sofia attending the Hebrew- and English School and making radio in his spare time. Orhan is a student from the Herbert-Hoover-School in Berlin and is bilingual in Turkish and in German and he is interested in business. Andrew is a student from Derry, Northen Ireland, planning to continue his education at an university in Scottland. Cordt von Oven is teaching the students from Herbert-Hoover-School in Berlin in the subjects French and Music, he plays a guittark and sings jazz songs. How do I live in my neighborhoods, who are my neighbors? Where do I meet my friends or exercise my hobbies, where do I spend my free time? Which languages are spoken in my neighborhood? How are the streets and the subway stations named? The Berlin Wedding neighborhood became a part of the city due to the unification and currently belongs to the Berlin Mitte district. Do the inhabitants of Wedding and Mitte live together? Crossing the barriers in the everyday life as well as during holidays could mean: celebrating Christians and Muslim traditions together, being curious about the other traditions and also having friends from different cultures. Is it dangerous to have a Mosque in my district? Not at all! It is possible to live together with our differences. In the center of Sofia a synagogue, a church and a mosque are situated very close to one another. At the Hebrew and English School in Sofia pupils with different cultural backgrounds learn together. Although only 30 percent are of Jewish ancestry, all students start to learn Hebrew language in first grade. The protestant and catholic communities in Derry/Londonberry live mostly in a religious segregation. But there is also a school, which opens its doors for all pupils and their families regardless of their religion. This school is also our new project partner in North Ireland. 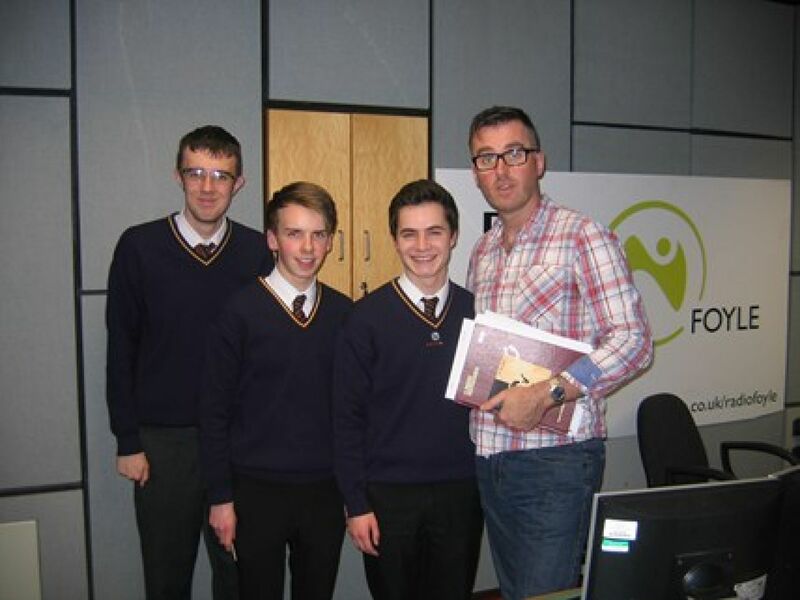 The students from Derry and their teacher visited the local BBC Radio studios in Derry and have been interviewed. 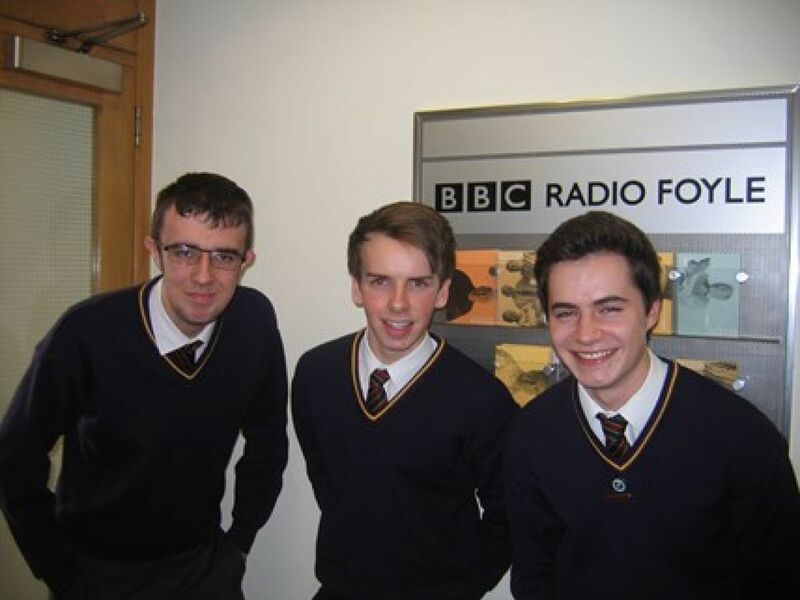 After they come back from Berlin they will be again studio guests at the BBC to tell more about our project! The teachers from Nicosia and Sofia were invited for the first partner meeting by the German partners from the Herbert-Hoover-School and by Mr. Thomas Schumann, the head master of the school. The guests met students from different cultures, got in contact with some projects launched in the Berlin Wedding such as the Haus der Jugend as well as the International Youth Radio YCBS. They also visited the Jugendmuseum Schöneberg, which involves youngsters and teachers in interactive projects on the topics such as culture, migration, identity homeland and history. 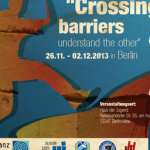 Listen to their impressions from the visit in Berlin and in the Jugendmuseum Schöneberg.